In public relations, you have to rely on earned media instead of paid advertising. So your media plan can't be as surgically exact as what the marketing people can do. They can target women over 35 in specific zip codes with a direct mail piece, or advertise on sports radio stations that cater to blue-collar men. Instead, you've got to earn your press coverage, and this is never guaranteed. There's a lot of competition for column inches in the newspaper and airtime on radio or TV. 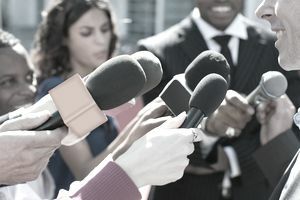 You're in a race not just with everybody else trying to get earned media, but with breaking the news the media has to cover, and there's no way to predict when earthquakes will strike or a political scandal will dominate the news for weeks. Follow these tips for writing an effective media plan to help break through the other noise and get your piece out there. It's a mistake to start thinking about products and process first. What you need to do instead is to think about how to reach your audiences. After that, you can start thinking about products and develop a strategic plan to accomplish your job. If you only focus on newspapers, for example, you'll miss a giant chunk of the population who only listen to the radio or watch television to get their news and be entertained. Remember, your media plan has to include ideas and strategies for reaching out to every form of mass media, and that includes newspapers, magazines, blogs, radio, and television. If you write a plan from your perspective or the point of view of your boss, it will be about your needs and wants, and that won't work with earned media. You have to think like a reporter. Ask yourself why the story is worth covering. Ask yourself if it is interesting news or unique and fresh, or if it is it stale and self-serving. You need to know who is writing which stories and pitch your ideas to that journalist. You also need to know who is allowed to take photos and who is a good TV spokesperson. You also need to know if the video you have can be posted on online. In your planning, do whatever you can to identify and eliminate bottlenecks. If there's only one person writing everything, what happens when that person takes a two-week vacation, becomes a father or mother and is out six weeks, or takes a different job? And, if there's only one boss who can approve material before it goes out, what happens if they're out of town on a business trip, or stuck in an all-day meeting?